Published 18 May 2012, Rustenburg Herald. Olifantsnek, 15kms out of Rustenburg, first gained recognition dating back to 1900 during the Anglo-Boer war. The mountains around Rustenburg form a part of some of the oldest mountain ranges in the world, the Magaliesburg. During the time of the early Trek-boers, the only accessible route from the westward to Rustenburg was via Magato’s or “Oliphant’s Nek”. Skirmishes between forces saw the Anglo’s building blockhouses, used in fortification purposes dotting the hilltops all around South Africa. Specific to this region was Commando Nek, (Hartebeespoort) and Olifantsnek. These forts, constructed mostly of stone, but sometimes of iron can still be seen today scattered across the country. 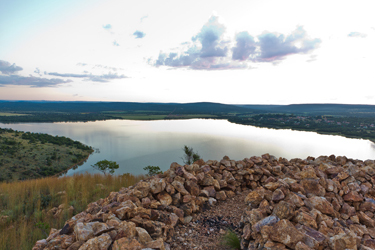 Utilised by the British, one such circular stone construction still stands atop of a koppie overlooking the Olifantsnek dam (pictured above). The Anglo’s, under General Baden-Powell, used this blockhouse as a vantage point. There are other further dilapidated stone wall structures which can be seen in the nearby vicinity which further added to the defence line during war factions. The flat plain in which present day’s Olifantsnek dam is located was once a Boer settlement, along the banks of the Hex River. Even where the water stands today, under the dam bed, lays ruins of the once thriving community. To add to the colourful history of this area, rumour has it wild elephants had once upon a time roamed this valley. And so “Oliphants nek” received its name. The Olifantsnek dam wall was commissioned by the irrigation board for construction in 1928 and served to provide for the local inhabitant farmers in the area. In 1929 Bernard Sumner proclaimed the Olifantsnek a township and in 1932 construction of the wall was fully completed. The capacity of the dam is around 14.2 million cubic litres and has a total surface area of 2548kms. According to a long-standing local resident, the property at today’s location, (Erf 184 Machol Street),first operated as a General Dealer Store servicing local farmers on the banks of the Hex and Sterkstroom rivers, making up the Kommissiesdrif Valley. Amongst its diverse farming community, “The Kangaroo Tobacco Co” was introduced on the property for a period of time using local “genuine pure Magaliesburg tobacco”. Along with this was an agency for the Rustenburg Post Office, long since been operating, (circa 1914-1917). In 1945 Bettina Cecelia Kruger purchased Erf 184 Olifantsnek and opened the Olifantsnek Hotel, which she successfully operated until 1968. During this period a primary school was introduced called “Excelsior Primary”, the Headmaster was a Mr Whitwell. Mr Reg Hawthorne, a pupil at Excelsior Primary was a regular visitor to the Olifantsnek Country Hotel. Stephanus Gous Coetzee, an advocate from Johannesburg then took over the reins in 1968 and in 1976 sold to the Bianchi’s. 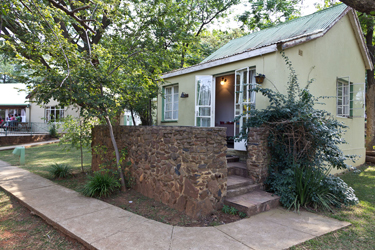 The family run establishment, run by Carlo and Yvonne was since a popular tourist attraction all throughout its time and provided old-world country charm nestled beautifully in the Magaliesburg. 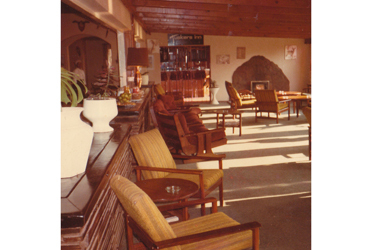 In 1996 Erf 184 was renamed the Olifantsnek Country Lodge and closed its doors to tourism. Today, seemingly as history repeating, has seen the property transform back into a bustling high school with the construction of “Rustenburg Educational College”. 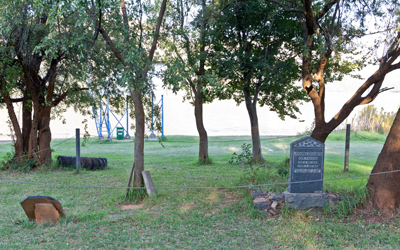 Since moving the premises from Rustenburg to Olifantsnek in 2006, the school has seen a considerable influx run by owner Mr Paul Peens. Also located on the property is Mt Sera Primary under direction and principal, Ishbel McKechnie and combined is home to 450+ scholars. The local community around Olifantsnek has seen steady growth over the years, but in recent developments and sewage evacuation have yet to be met. Though Olifantsnek has seen many changes through the ages, its historic legacy of the trek-boers will forever remain, unforgotten, like the graves on the waterfront, buried beneath the dam. Bauhaus Am Damm, but cannot be sure. I heard the farm is still in the family. Any help would be appreciated. I have tried driving around looking for it, but no luck. My memory is a bit faded. This was back in ’86/’87.